Hydraulic System Leakage will stop a Mining Project in its tracks. You are here: Home / Blog / Hydraulic system leakage will STOP a Mining Project in its tracks. 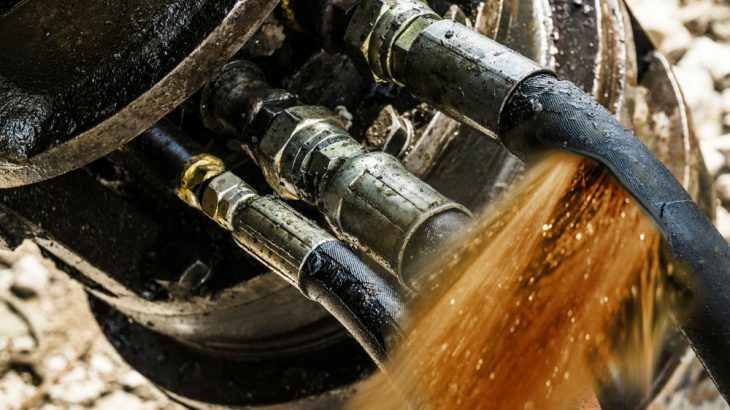 As global demand increases for heavy equipment to expose resources locked deep within the earth, mining operators, environmental agencies, and business leaders depend on RL Miller to prevent hydraulic system leakage and keep their equipment operating at full capacity. 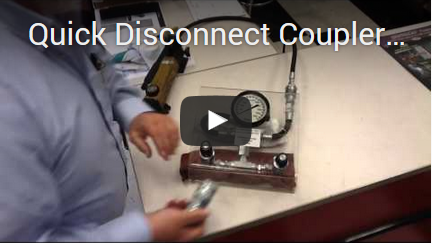 Undetected hydraulic system leakage may result in catastrophic failure. A slow drip on performance and reliability will quickly drain your profits.As a leading, tier-1 supplier of Schroder filtration systems, accessories, Enerpac cylinders, and pumps, RL Miller Sales & Service Center near Pittsburgh PA will repair or replace hydraulic system leakage, fitting, hoses, filters, and adapters while you wait. Not sure where the problem is? 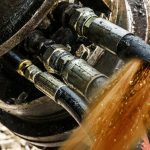 Leaks are a common cause of hydraulic hose repair. Take advantage of our expert onsite services for leak detection as well as hose plumbing and routing to minimize future operational problems. We welcome an opportunity to solve your current and emergency issues as well as provide solutions to minimize downtime. We can help improve productivity and your bottom line. The Right Hydraulic Hose Repair Kit from an Authorized Distributor. 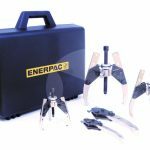 Having the right hydraulic hose repair kit is critical to the success of your efforts. Substandard or wrong parts can compromise system performance as well as cause frequent breakdowns. The result is reduced system lifespan and early replacement expenses in addition to downtime costs. Being an authorized distributor, we provide you with reliable hydraulic components. Come to our well-stocked shop in Pittsburgh and ask us how to minimize operating costs with the right hydraulic hose repair kit. RL Miller specializes in industrial hydraulic hose, industrial hose for water oil and gas, and heavy duty air hose for construction site and the mining industry. Our expert advice, no-down-time attitude, quality products and support team yield extraordinary results and can fix your hydraulic system leakage. Visit our Eaton Hose Center for over the counter service, answers 24 hours/day. 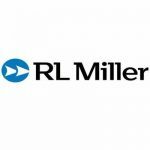 RL Miller LLC represents over 50 years of experience and growth. We are your premier source for both standard hydraulic and pneumatic systems and components and custom solutions that improve overall performance. Our success is due in large part to our reputation for quality parts, unmatched experience, and reliable service.